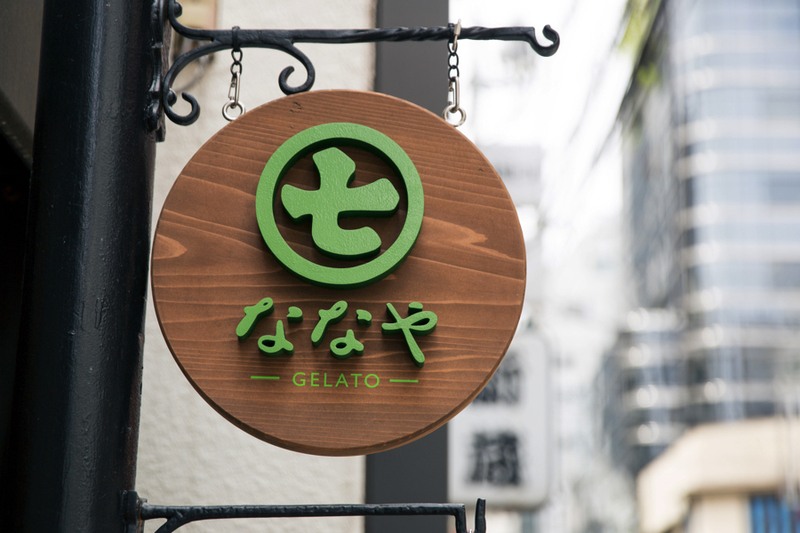 In today’s installment of Tokyo Café, we head to Nanaya in Aoyama, a popular café that sells sweet and refreshing matcha gelato, perfect for the summertime. Marushichi Seicha is a tea producer that estalished in 1988 in Shizuoka, Japan’s number one tea-growing district. They were the first in Japan to sell freeze dried matcha, which has since come to prove very popular and enjoyed throughout homes in Japan due to its ease of preparation. Marushichi Seicha set out to open “Nanaya” to take advantage of the flavour of matcha, something loved by people of all ages in Japan. 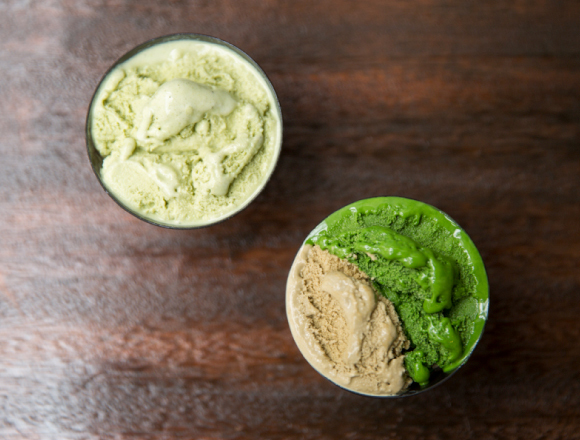 The shop’s special menu features a list of gelato, or ice cream, using this same delactable matcha. It offers seven varying levels of matcha intensity – level 1 begins with a more moderately sweeter flavour, but as you progress up the scale to level 7 the flavour of the matcha becomes richer and deeper. The menu also includes a range gelato using other teas too, such as houjicha (roasted green tea) and genmaicha (brown rice green tea). The most popular item on the menu is the no. 7 level matcha gelato (￥560, tax incl. 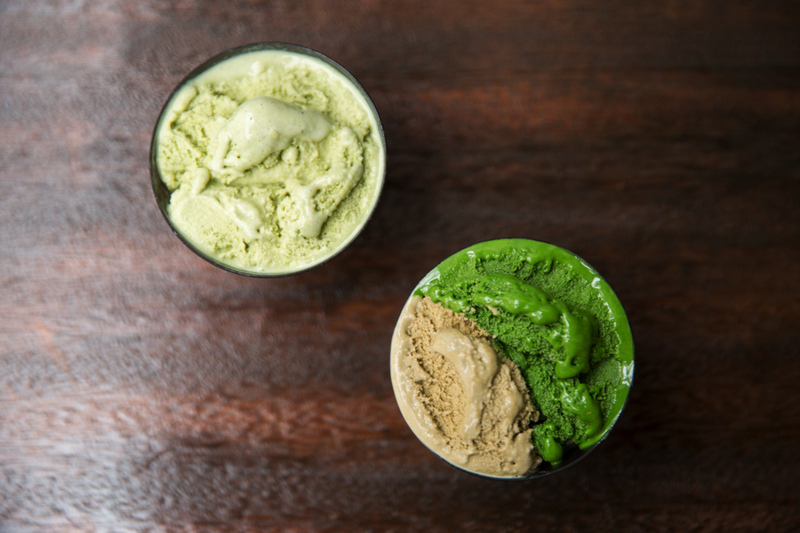 ), which claims to be the most matcha-intense ice cream in the world. It uses matcha that received an award from the Minister of Agriculture, Forestry and Fisheries. There’s a reason it has become so renowned, with its deeply rich and bitter matcha flavour inside which lies the right hint of refreshing sweetness. 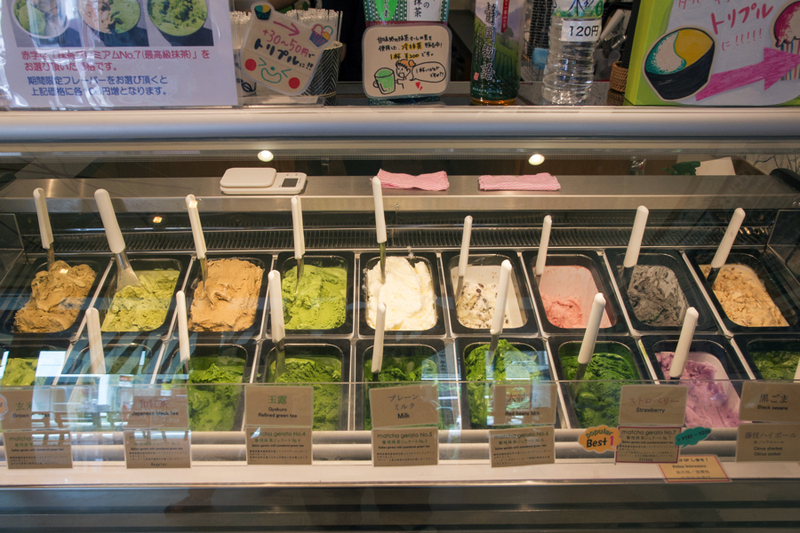 As well as matcha flavours, Nanaya serves up other gelato too, such as the Genmaicha Gelato (pictured above on left / ￥370), a fragrant brown rice green tea that is popular among guys that visit the shop. You can customize your ice cream cups too and get double scoops (pictured above on right / ￥470) and even triple scoops (￥500), meaning you can order a variety of different flavours to try at once. If you you’re thinking of ordering another gelato flavour to go with matcha, then you should try getting it with houjicha, which has a subtle fragrance of tea in its sweetness! I tried a ￥1000 soft serve ice cream ♡ My trip to the CREMIA pop up shop!